Felt Crafts are one of my favorites, and my friend Katie from The Homespun Hydrangea is back again this week with another wonderful Felt Crafts idea for you! This Easy Fall Garland is a great afternoon craft to make with kids and a perfect idea for decorating your mantle or entryway! This felt crafts idea involves a bit of freehand cutting, but you can also use some fun stencils, or even use a piece of paper to draw the leaf shape you want and then cut it out to use as a guide. 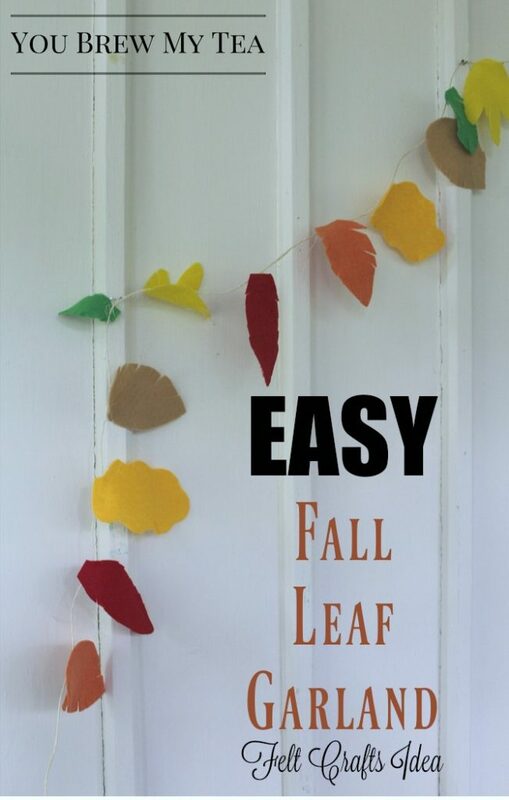 It’s just a simple and fun way to make a Fall Leaf Garland for your mantle or entryway, and my favorite part is that you can easily incorporate this into a homeschool lesson. 1. 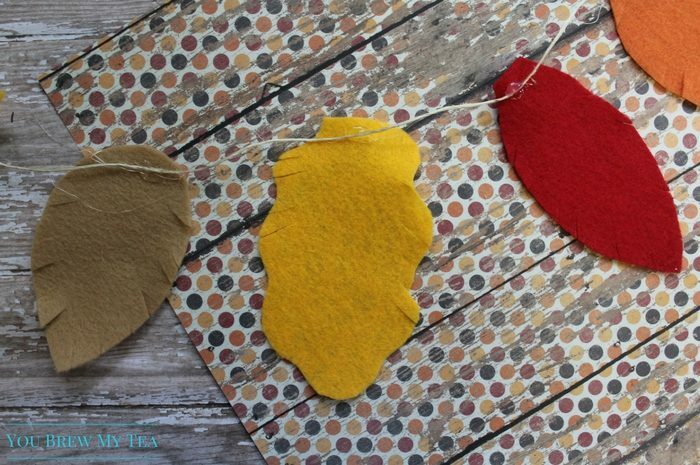 Begin by cutting out leaf shapes from the crafting felt. You can make simple ovals or scalloped shapes, or use a stencil. We just did ours freehand. 2. Add more detail by fringing the edges of your leaves. Just make quick and simple snips into the fabric to create texture. 3. Once your leaves are all cut out, you can begin to glue them on your twine. Add a dab of glue to the top/back and press them to the twine. Hold in place until dry. 4. Continue gluing leaves on in the order of your choosing. The number of leaves you glue on will depend on the length of garland you need. 5. Allow leaves to dry and then display your garland. 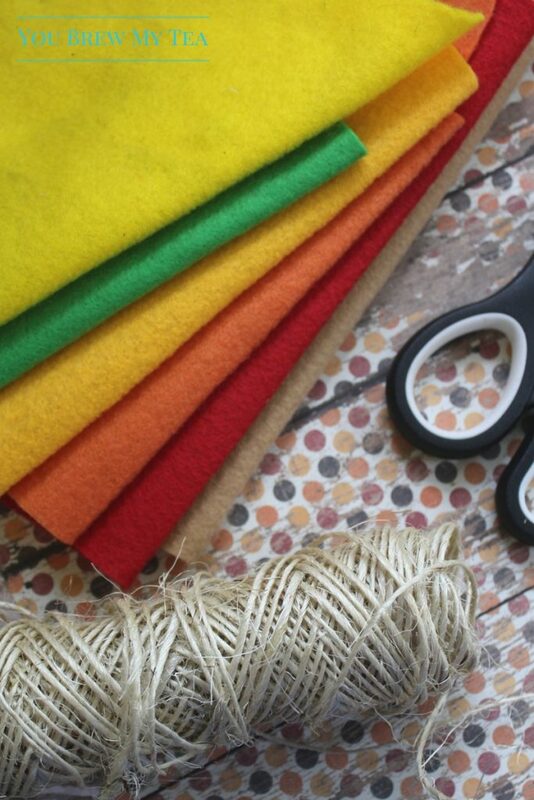 I love using this felt crafts idea to work with kids on a fall themed homeschool lesson. 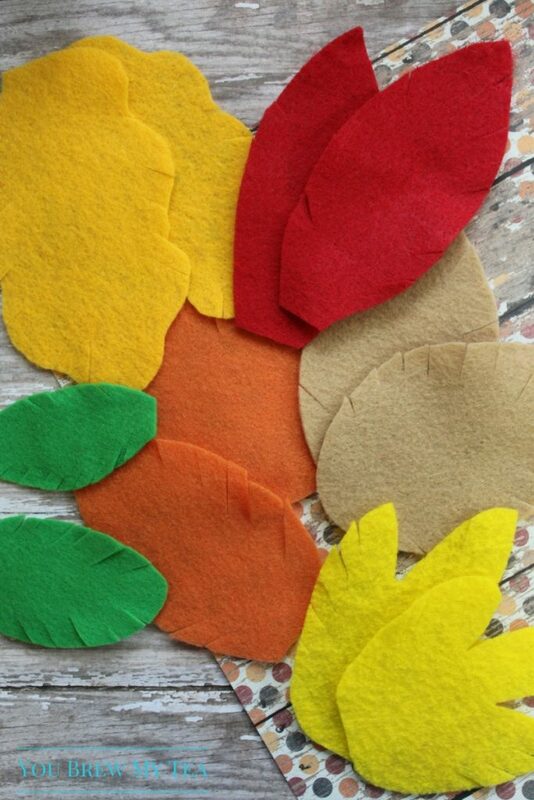 The Wee Child loves anything science related, and talking about why and how leaves change colors in the fall is a great way to introduce this fun felts craft idea while also teaching something on any grade level. 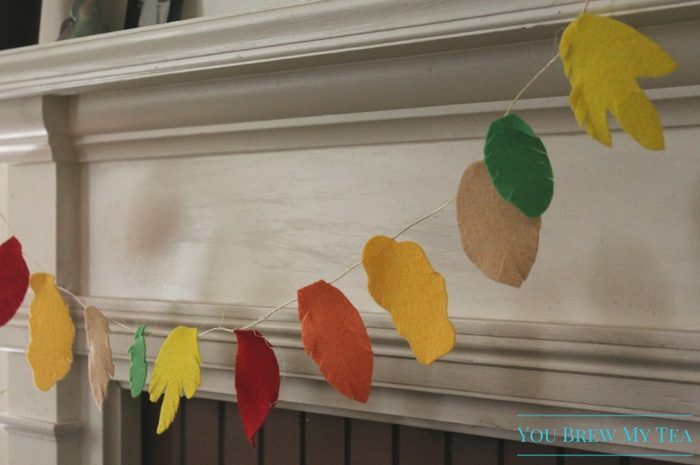 Gather up the supplies for this great felt crafts idea to make a fun Fall Leaf Garland you can hand on your mantle, doorway, or even on your table at a fall dinner party! Check out our other easy fall craft ideas! This garland turned out really cute! Thanks for sharing your project on the #MondayFundayParty! Aww, what a sweet craft this would be to make! Thanks for sharing at Merry Monday! your Fall Theme posts. The party starts Sept. 1 and goes all the way to the end of Oct.
Come over any time and link!